Horrifying illusions. Classified government operations. Heavily guarded secrets. Cryptic rumors. Dangerous prisoners. 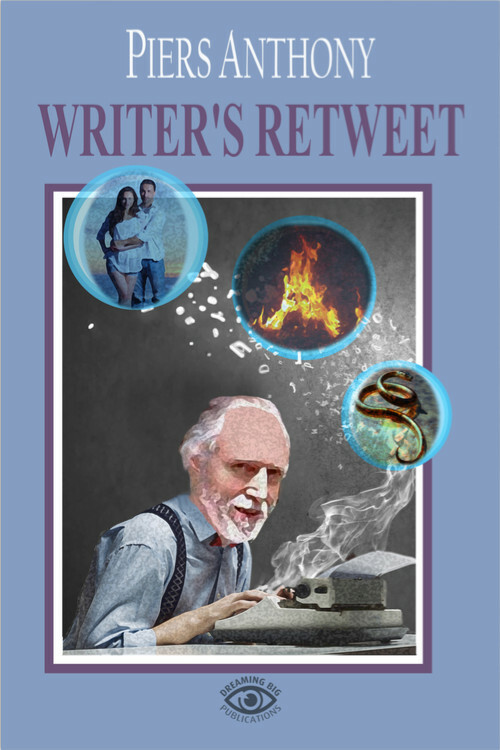 New York Times Bestselling Author Piers Anthony weaves this and more into Writer’s Retweet, a collection of five short stories abounding in the adventure, magic, and naughtiness that fans have come to know and love from this author. Anthony has many books published, to include the New York Times Bestselling Xanth series. These and more can be found on his website. He has also published Service Goat, Hair Power, and more recently, Hair Suite here with Dreaming Big Publications. We're very excited to be able to offer four books from this amazing author.